« Taking a Bad Route to the Ball = 37 Points of Batting Average! 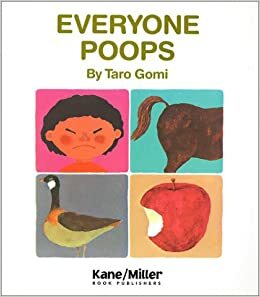 I heard a rumor that that the children’s classic Everyone Poops has been allowed to go out of print. Its Amazon page seems to confirm that, noting the book is available only from third-party sellers (e.g., used books, proof and author’s copies, etc.). This book is a true classic. No, really. If you have kids, you’ll understand. Even the owner of a dog will discover the book’s essential nature.